Pastor John Feau-mo-lotu Vaosi Finau has was born in Long Beach, California. In 2000, the Finau Family was called in to missionary work in the islands of Fiji. His experience in Fiji enhanced his thirst to reconnect with his Polynesian roots. At the age of 15, John was enrolled into boarding school at Wesley College in New Zealand. It was while attending Wesley College, that John received his call into ministry. Only through God, was John then able to attend Hawaii Pacific University at the age of 17. It was through the love of Rev. Frank Butterworth that John was able to attend HPU on a full ride scholarship. It was in these moments that Pastor John knew that God was working in his life. In 2012, John graduated with a B.A in Communication. In that same year, John enrolled into Candler School of Theology in Atlanta, Georgia for a Masters in Divinity. Throughout his time at Candler School of Theology, John was able to discern his call into ministry through his education and field experience at various sites such as Lee Arrendale State Prison, Church Ministry, and mission trips to Jamaica. 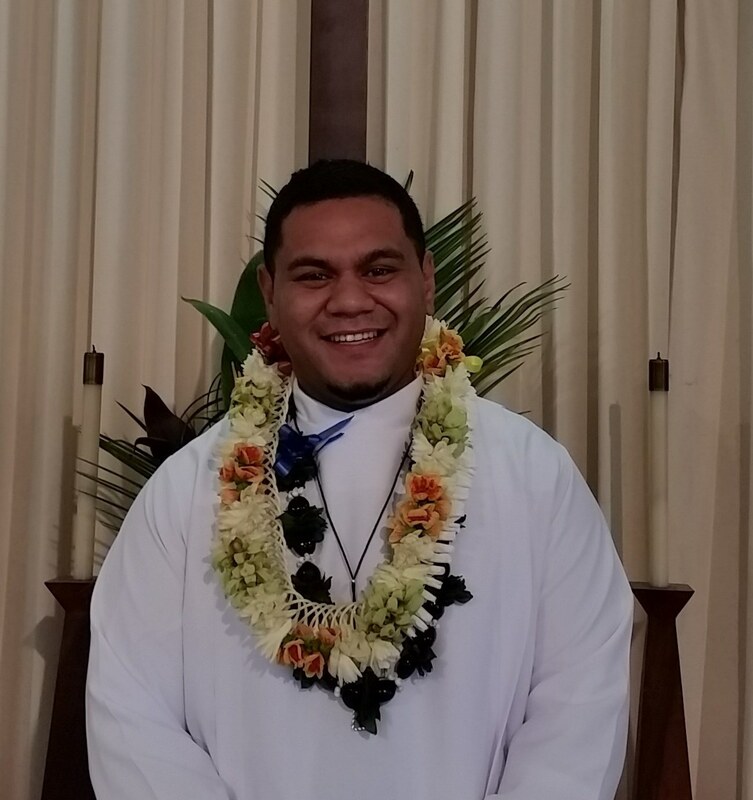 In May 2015, John Finau graduated with his Masters in Divinity. On July 1, 2015 Pastor John joined Keolumana United Methodist Church. John has a passion for pastoral care, children ministry and simply getting to know the people in the community. John also loves a variety of activities such as playing rugby, watching movies, having a good conversation and praising God.